Yesterday yours truly posed a preview of what a realistic lineup could look like next season for the Sharks. Assuming GM Doug Wilson keeps his job, this is what I would expect next year’s Sharks to look something like. But what should they look like? Perhaps owner Hasso Plattner makes a change at GM. New management could put together a much better lineup with fundamental changes. Those changes being renewed emphasis on puck possession and the discontinued use of players Seann William Scott can portray in Goon 2. In other words, discontinue the use of players who chase the puck in the defensive zone for the majority of their shifts. When it comes to puck possession, no duo at the FORWARD position are more difficult to get the puck away from than Joe Thornton and Brent Burns. A big part of the Sharks’ offensive problems this season has been the inability to impose their will at the front of the net. Burns at forward is as much of an unstoppable force as there is in the league when it comes to crashing the crease. 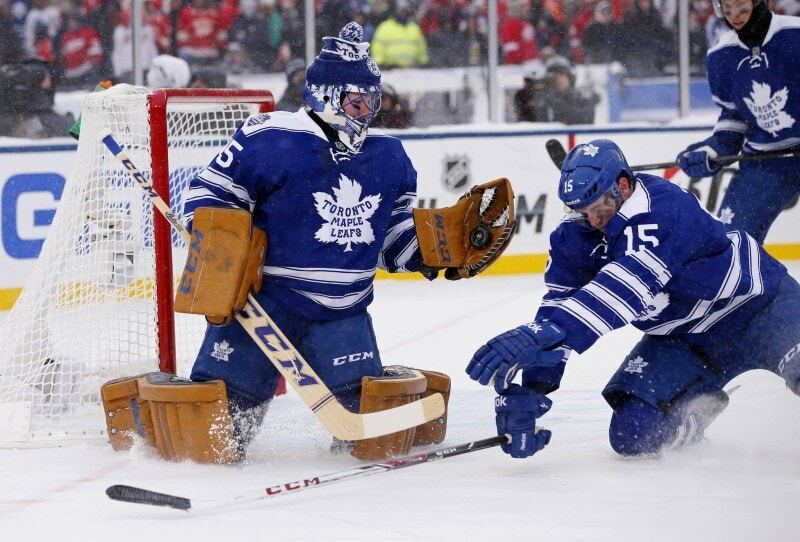 You can clearly see he has much more confidence with the puck than without it. His offensive skills are his best attributes and considering how porous he has been at defense this year, Wilson is clearly not watching the same things everybody else is. Why Wilson and the Sharks are so stubborn to put Burns at defense is quite frankly mind boggling. The Sharks have been significantly worse with Burns on defense compared to when he is at forward. Not to mention this trio of Burns, Thornton and Tomas Hertl was dominant in games two and three against the Kings in the playoffs last year. Not coincidentally, the four game collapse came with these three being split apart for the majority of the losses. Burns at forward gives the Sharks the luxury of going three deep down the middle, something they desperately need, to balance their attack. 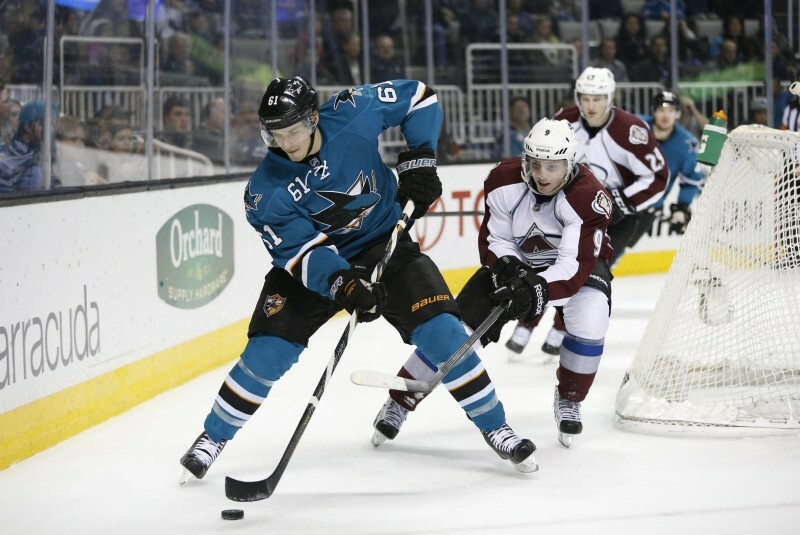 The Pittsburgh Penguins won the 2009 Stanley Cup with three top-6 caliber centers all playing center and the Sharks have had their best playoff runs in recent years with this formula. Carbon copy from what the Sharks will more realistically look like next season. These three were the Sharks’ best line in the playoffs a year ago and despite Marleau and Nieto’s poor puck luck, have actually been a decent shut down group this year. Chances are they bounce back in a big way next year with Nieto entering his prime. Back in 2011, the Sharks featured Pavelski on their third line for the second half of the season and in the playoffs. 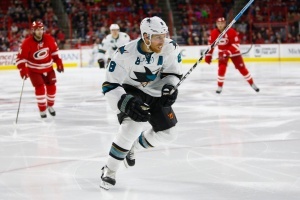 It was an awesome line but Pavelski was basically driving the ship. His linemates were fellow smallish centers Kyle Wellwood and Torrey Mitchell. The former is out of the NHL and the latter is a fourth liner that has been tossed around from team to team in recent years. While Wellwood was an underrated NHLer, he and Mitchell weren’t nearly as good as what Karlsson and Wingels can provide as support for Pavelski. The Sharks could easily return to being one of the best teams in the league if they had Burns at forward and Pavelski at third line center crushing third line matchups. This group wouldn’t crush fourth line matchups like the Pavelski third line would obliterate opposing third lines but they would do extremely well most nights. All three of these guys are above average fourth liners, with Tierney the center, already having the goods to be a decent third line center. His vision/play making is off the charts and on this line he will have two more than competent wingers. Goodrow is a big body that can skate and Smith is as tough as nails just like Mike Brown but with some actual skill attached. All three can be big parts of a penalty kill, which is what you need from your fourth line players, not five, six, or seven minute a night guys who can only play at even strength. This lineup also gives the Sharks the luxury of not rushing top prospect Nikolay Goldobin to the NHL. He may be ready, but some minor league seasoning for a kid turning 20 in October couldn’t hurt. This is another carbon copy from the realistic preview from yesterday. These two are one of the better shut down pairs in the league. Braun had a bit of an offseason this year but a year ago I often made the argument that he should have been on Team USA at last year’s Olympics ahead of guys like Brooks Orpik, Justin Faulk, and Cam Fowler. When he is on his game, he is that solid defensively and is underrated offensively both on the breakout and on a second power-play unit when give the opportunity. As for Pickles, everybody already knows how freaking fantastic that guy is. 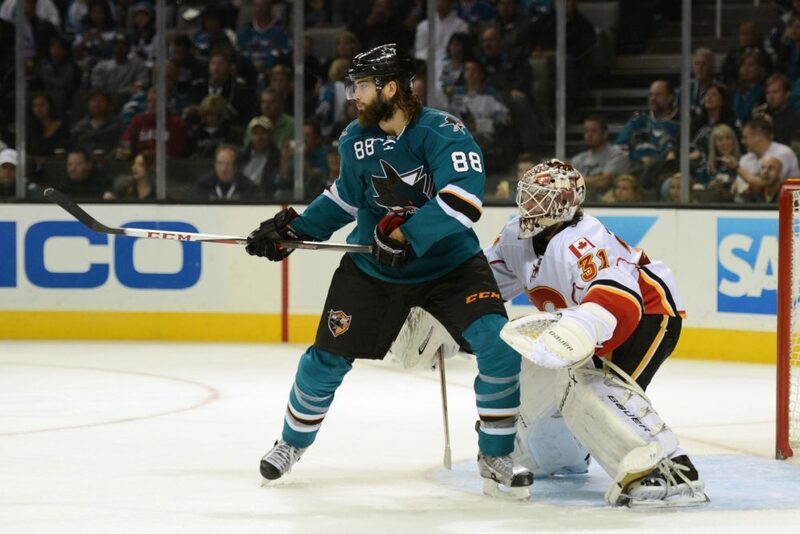 Now in the ideal of ideals, the Sharks should acquire a top four puck mover to replace Burns’ spot if a new GM comes in and makes the right move. However, even if they look to save money and go with an internal option, these two showed solid chemistry together for a good chunk of games this season. Tennyson is not a top-4 defenseman by any stretch, but he is a capable player nonetheless. Furthermore, if the Sharks are smart, they would realize that Vlasic and Braun can handle much more ice time than they were given this season. Vlasic and Braun as a consistent top pair can easily handle 25-27 minutes per night instead of the 21-22 that we have seen recently. Therefore with the studly top pair, and dominant puck possession forward lines, the bottom two pairs won’t have to be all that great on paper for this team to still be really good. Again, the Sharks should look into acquiring a right handed defenseman to play in this group with Burns moving to forward. However, even if they went with these two as their third pair, it should be markedly better than this past season. Both these players should improve their level of play, particularly Mueller, and Irwin has quietly been better this second half. You could do a whole lot worse than these two playing frequently as a third pair. Another carbon copy from what they could realistically look like next season. The Sharks are almost certainly going to be looking to find a better goaltender than what Antti Niemi has given them over the past four years. One great season from start to finish and three years of average play is not what they were hoping for after getting him from Chicago as a cap casualty free agent. Bernier is an RFA and has been on the trade market for awhile. Perhaps a prospect and an early-mid round pick gets the job done. This is pretty simple, Stalock has proven he can be a decent backup option and is under contract. While this unrealistic version of the Sharks could use a defensive upgrade or two, they would be such a dominant puck possession force up front that it wouldn’t even matter during the regular season. They would have three of the best centers in the league on three separate lines and their fourth line center would be capable of 25 points on that fourth line. That is what you call tremendous depth. Playing Burns where he belongs at his natural forward position would allow the Sharks the depth on the wings to be able to play Pavelski back at his natural position. Essentially, when in doubt, play players at their natural positions, you really can’t go wrong. This lineup would make the playoffs comfortably, and that is what is frustrating for Sharks fans. They could have basically featured this type of lineup this season and made another run at the Stanley Cup. Instead, they went top heavy, put Burns in a position where he hurts more than helps, asked too much of James Sheppard as the third line center, and filled their fourth line with poor possession players. The Burns, Sheppard, and fourth line decisions were all too predictable in their failures, but their lack of performance must be Thornton’s fault, right?